All 25 rooms at our hostel are designed to satisfy all guests' needs included 10 rooms with city view, 10 rooms with big window and 5 Standard rooms with no window . Every room in our hostel offers guests elevator, free internet access â€“ wireless, desk, television, safety box, free city map and tourist information. This excellent hostel in Hanoi also has room service, Wi-Fi in all floors, laundry service/dry cleaning. Very convenient location, very close to the cathedral and just 5 minuted by walk to Hoan Kiem lake and nearby lots of interesting places, a dedicated staff and high quality facilities make this hostel the most favorite among others. 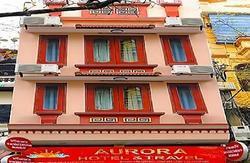 Riverside Palace hostel can be easily booked with our secure online booking form. 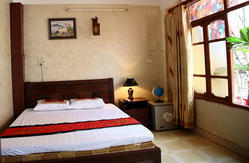 All rooms have modern facilities. All the rooms are clean, comfortable and spacious. They have hot water 24 hours, cable TV, A/C, and modern bathrooms with shower or bathtub. We also offer our guests free breakfast with menu to choose from. 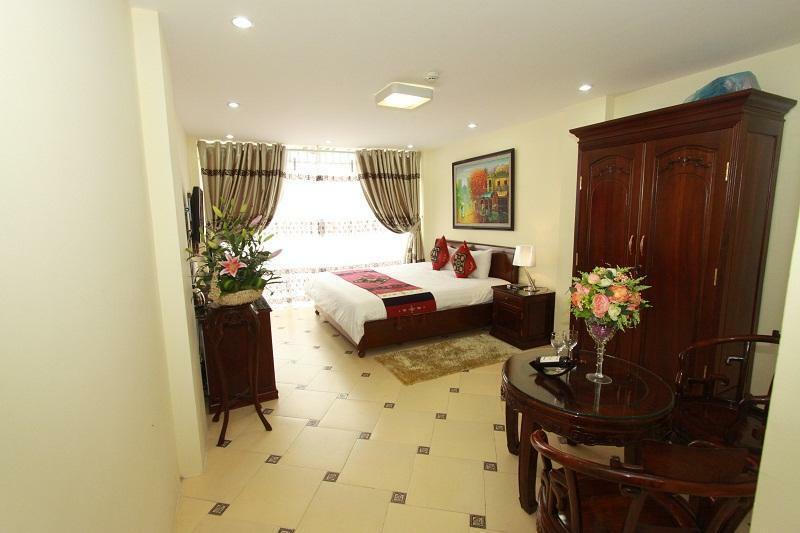 All types of rooms to choose from: singles, doubles, twins and family. Situated down a small, quiet lane just 1 block north of the steps of the St Joseph's Cathedral in the center of town and 3 minutes walk to Hoan Kiem Lake. The hostel is perfectly located to explore Hanoi's Old Quarter. The hostel is just 300ms north of the Airport shuttle stop located at 1 Quang Trung St and 1km from the Hanoi Train Station.